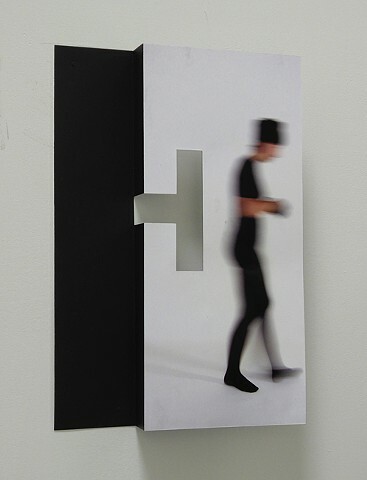 I have been making sculptures that participate with the wall both structurally and visually for many years. 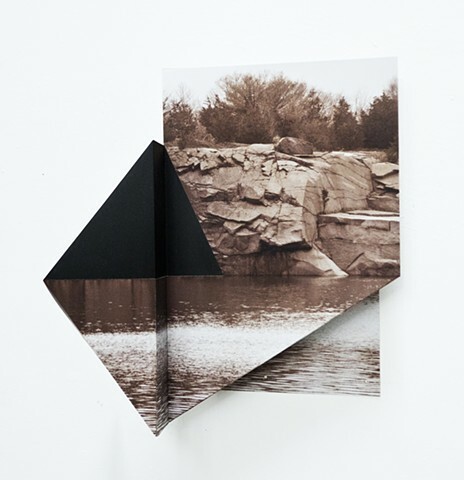 Since moving to the Hudson Valley from New York I have been using photography of the surrounding landscape juxtaposed with architectural angles and perforations. 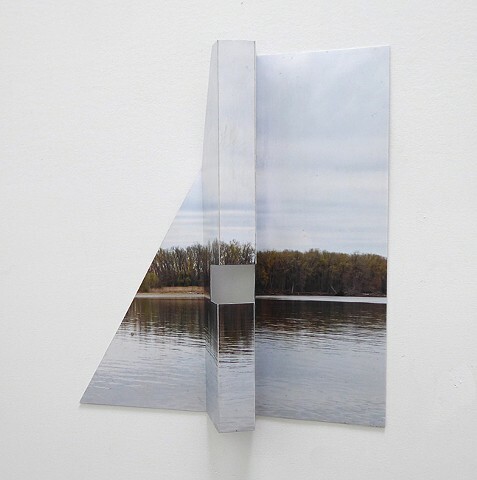 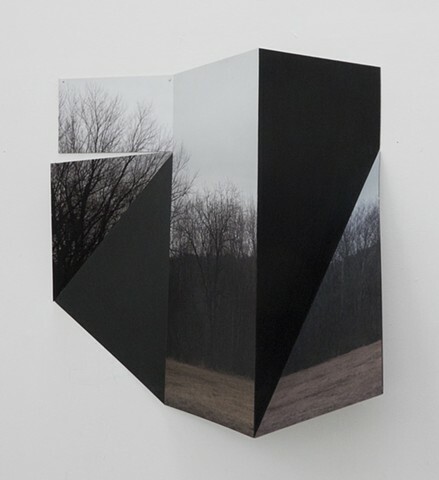 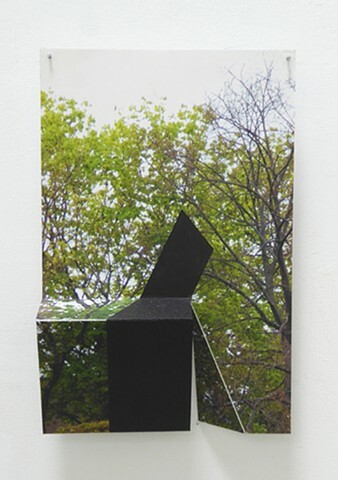 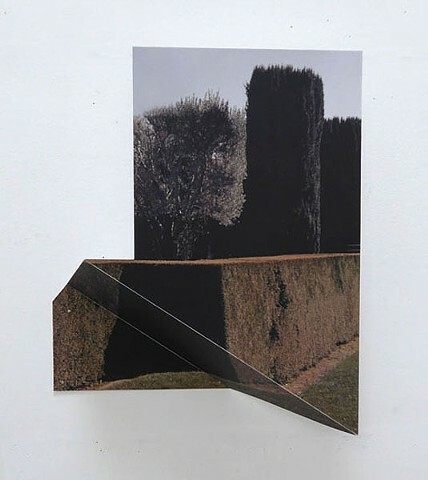 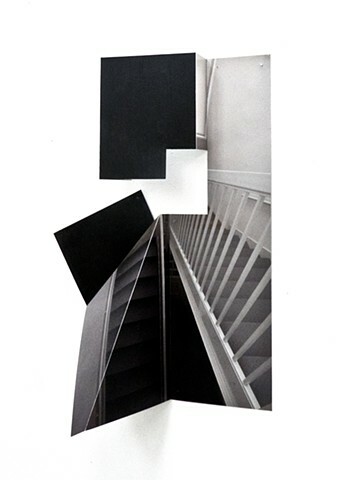 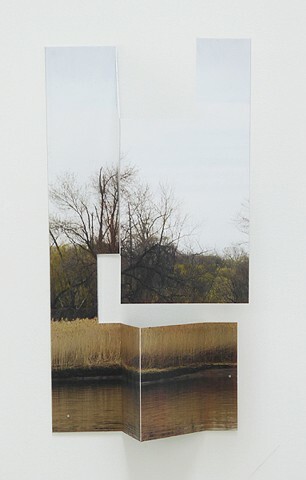 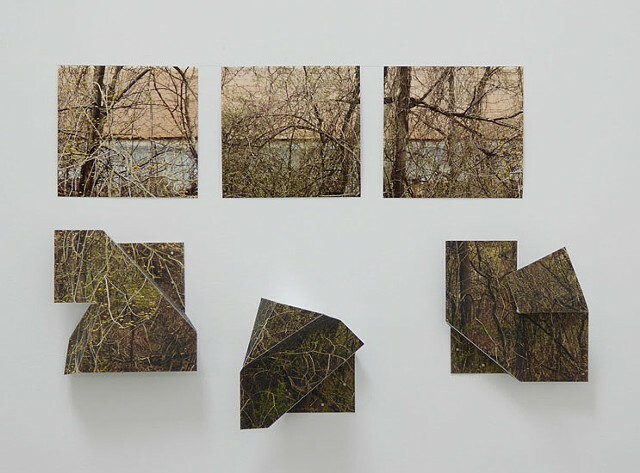 Because the landscape is an established visual context it allows me to manipulate space by folding and cutting the photographs thereby creating new planes and unusual spaces. 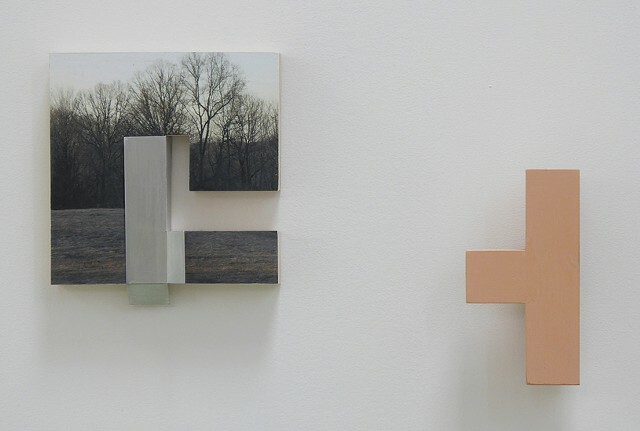 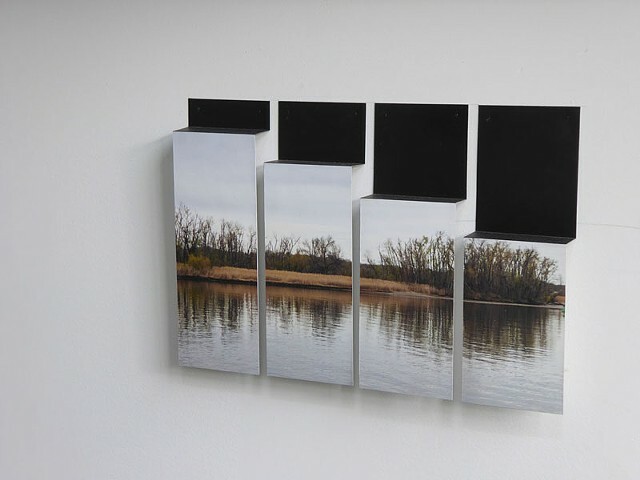 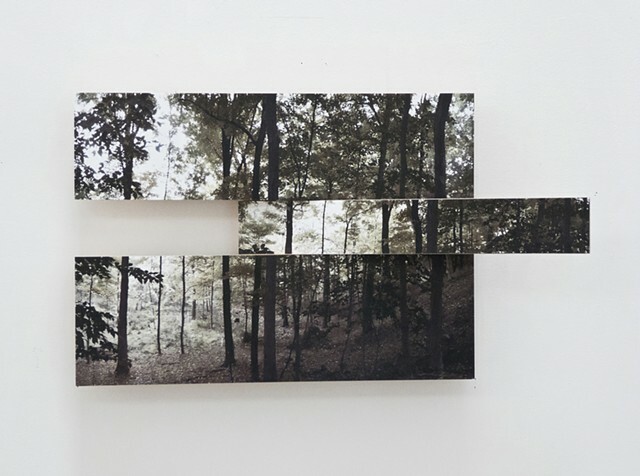 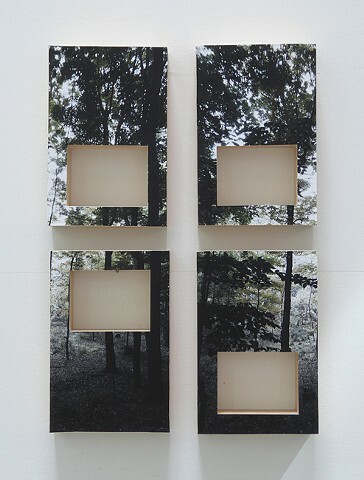 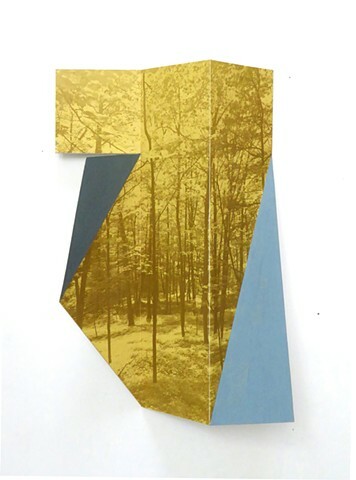 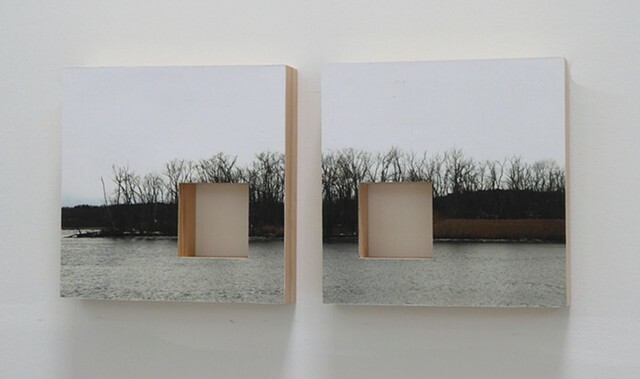 I use wood and aluminum with the landscapes in an intimate scale in relation to the viewer. 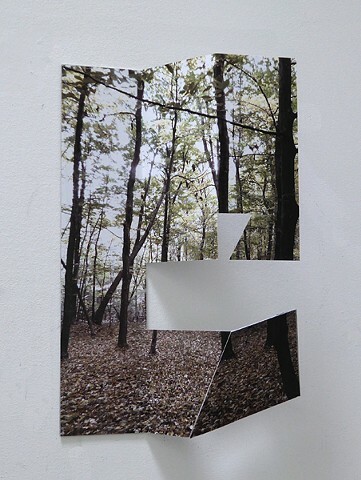 My pieces are about the oddity of something familiar reconfigured.